SINGAPORE - The National Population and Talent Division (NPTD) released its report on Singapore's population on Wednesday (Sept 30). It covers several aspects, including overall population, ageing, birth rate and marriages. 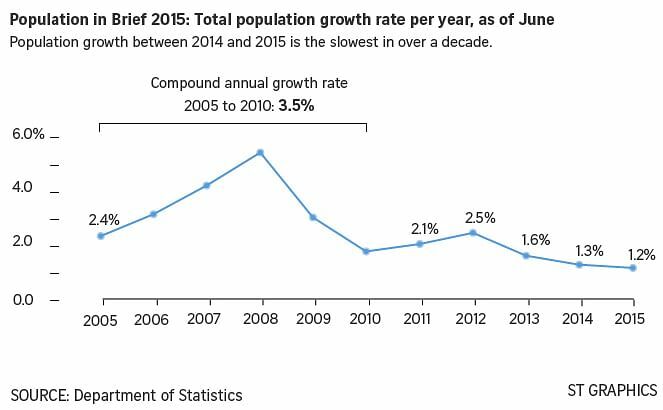 It is a 1.2 per cent growth from June last year - the slowest in more than a decade, mainly due to the continued slowdown in the growth of the foreign workforce. In the previous year, the rise in population was 1.3 per cent. 1.63 million non-residents. They are foreigners on employment passes, S passes, work permits, dependants of citizens, PRs and work pass holders, maids and foreign students. This continues a downward trend seen in the last few years. The number of non-residents was 1.6 million in 2014. A total of 33,193 Singaporean babies were born in 2014, although the Year of the Horse in the Chinese zodiac was not a particularly auspicious one to many Singaporeans for having children. This is a decade high that matches the benchmark number set in 2012, the popular Year of Dragon. 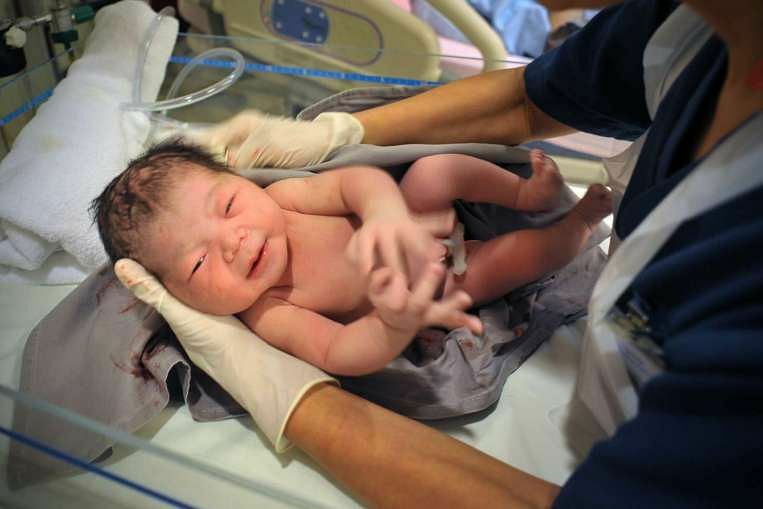 The total fertility rate for residents rose to 1.25 in 2014 from 1.19 in 2013. The increase was seen across all ethnic groups. This, however, was still well below the replacement rate of 2.1. The median age for Singaporean mothers at first birth has remained stable, from 30.2 in 2013 to 30.3 last year. But married couples are having fewer children, especially those in the younger age groups because of later marriages. The average number of children born to ever-married females aged 30 to 49 has declined in the last decade. In 2004, the average number of children born to women aged 40 to 49 was 2.15. Last year, the average number was 1.93. 6. 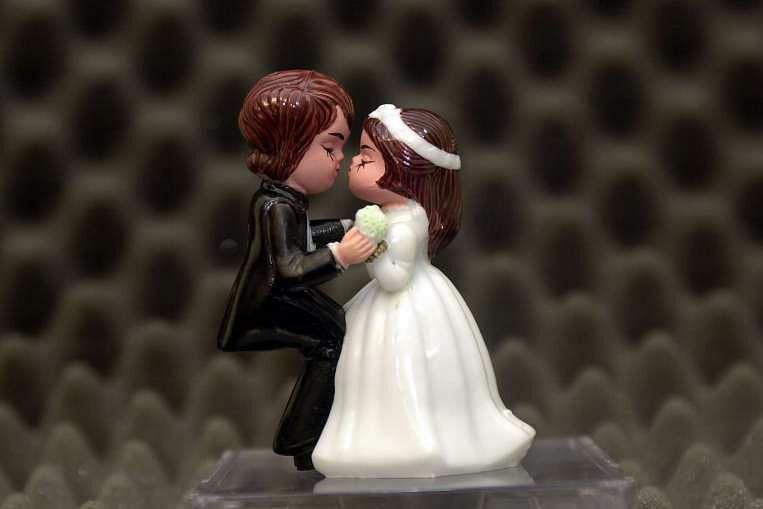 More couples say "1 do'"
There were 24,037 marriages involving at least one Singapore citizen in 2014 - the most number of marriages since 1997. Inter-ethnic matches made up 20 per cent of the total figure. Transnational marriages account for 37 per cent. The median age at first marriage in 2014 was 30.1 for men and 27.9 for women. It is the same as in 2013. The proportion of singles among male citizens in their 30s rose from 29.2 per cent in 2004 to 35.8 per cent in 2014. The proportion of single citizen women in their 40s also rose from 13.7 per cent in 2004 to 16.2 per cent in 2014. But singlehood rates for women with secondary and above qualifications has dipped by between 1 and 4 percentage points. 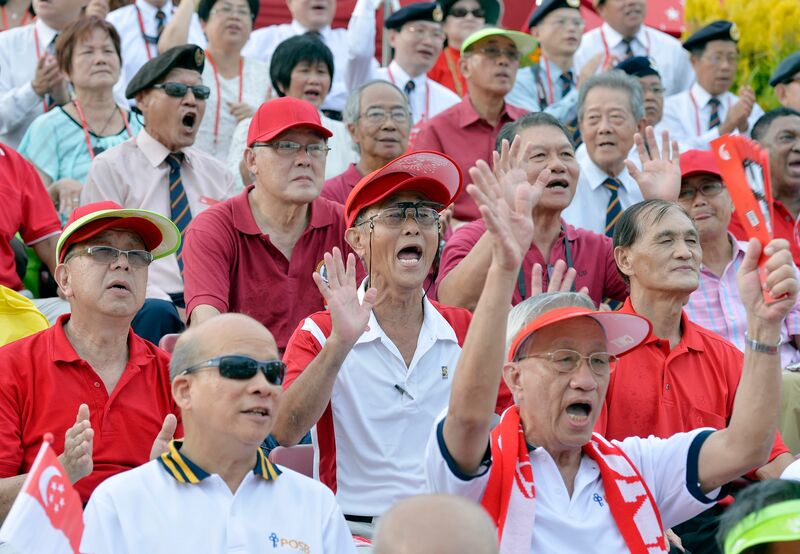 Singaporeans aged 65 and older formed 13.1 per cent of the citizen population as of June 2015, up from 12.4 per cent in the same period last year. Just a decade ago in 2005, the figure was only 8.8 per cent. There are currently 4.9 citizens in the working age band of 20-64 years for each citizen aged 65 years and above. A decade ago, the figure was 7.2. In 1990, it was 10.4, and in 1970, it was 13.5. The median age has gone up to 40.7 years in 2015, from 40.4 years in 2014, 38.6 years in 2010 and 36.6 years in 2005.